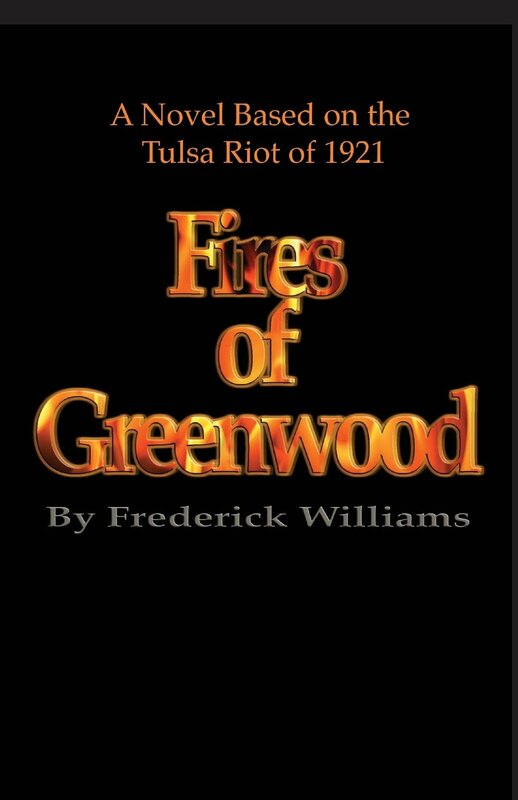 Out of all the writings I have done over the years, my greatest joy and feeling of accomplishment came when I wrote the novel, The Fires of Greenwood: Tulsa Riot of 1921. For many a year I have bemoaned the fact that our history was being written, either as fiction or non-fiction, by writers of another race. I finally decided that complaining did no good at all. So, I set out to undertake the task of doing a thorough research of the major events that led up to the Tulsa Massacre of 1921 and the destruction of Black Wall Street. I spent time in Tulsa and talked with Ms. Eddie Faye Gates, a member of the Oklahoma Commission to Study the Tulsa Race Riot of 1921. I read the Commission’s final report as well as non-fiction historical accounts of what happened those fateful two days in the Greenwood Section of Tulsa, Oklahoma. After conducting a thorough research of the event, but more important the great Black men and women who had lived during that time, I decided to bring them back to life in the pages of a novel. Some of those heroes included Dr. Andrew C. Jackson, one of the very best surgeons of any color in the country; Andrew Smitherman, publisher of the Tulsa Star, the radical Black newspaper with the motto, “You Push Me and I’ll Push You;” Mabel Little, owner of the Little Rose Beauty Parlor, where the ladies gathered especially on Thursday to get their hair done for the festivities on Thursday Night, better known as “Maid’s Night Out;” O. B. Mann, owner of Mann Grocery Store and the World War I Veteran who told White Tulsans that as long as he and the other veterans were living, there would be no lynching in Tulsa, and O. W. Gurley, owner of the Gurley Hotel and one of the richest Black men on Black Wall Street. The most outstanding of all the heroes I researched was John B. Stradford, the richest Black man on Black Wall Street and owner of the famous Stradford hotel, a hotel so elegant it could match any in the state of Oklahoma. Stradford was not only a very astute and successful businessman, but also a no nonsense man who refused to be treated in a demeaning or subservient manner. He once beat a white man because he dared call him out of his name. When the riot broke out, Stradford stood in the doorway of his hotel with gun drawn, ready to shoot any intruder who would attempt to put a torch to his property. Stradford became my most enjoyable black hero to re-create in the novel. You can imagine my joy when his great-great granddaughter, Laurel Stradford, and I had the opportunity to communicate by email. 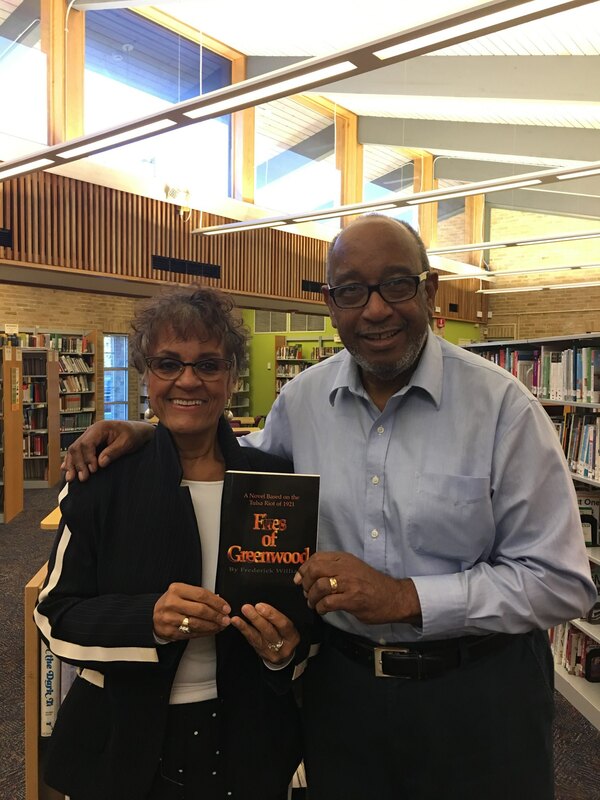 My joy increased when I was able to invite her to San Antonio to participate on a panel, discussing the successes of Black men and women in Tulsa in 1921. The panel discussion was sponsored by D. L. Grant, Branch Manager of the Carver Public Library in San Antonio. I also had the pleasure of interviewing Ms. Stradford on “Discussions with the Writer Fred” on Black Video News, and that interview is included at the end of this essay. Presently, there are a number of producers in Hollywood planning on making a movie of the Tulsa Massacre. I am concerned that these producers may not capture the essential importance of what happened back in 1921. The massacre should not outshine the re-creation of our heroes like John B. Stradford and others. Hopefully, Laurel Stradford, who has her great-great grandfather’s memoirs, will have some input into the way the story is told in a movie. If not, then it will be just another case of Black Americans failing to tell their story their way.